We are a tiny restaurant with communal seating, bar, patio, and balcony. 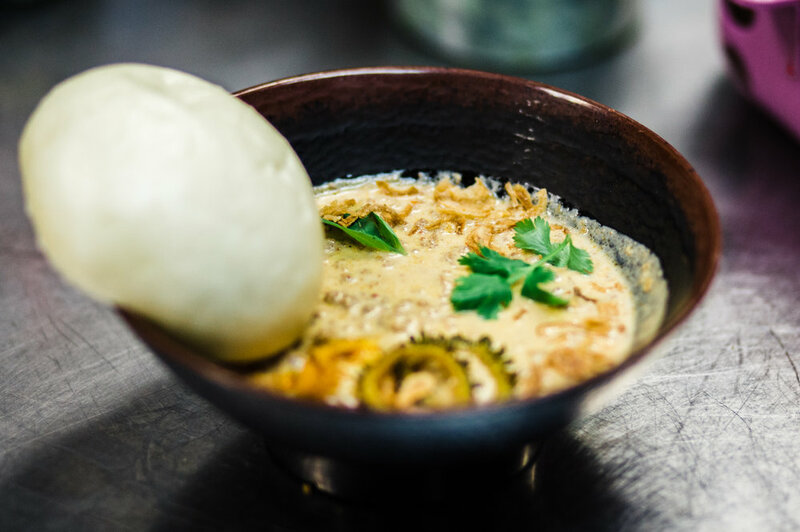 Walk-ins are always welcome; hotpot by Resy only. We serve plant-based and meat-based Himalayan dishes with hot pot, tea service & full bar. What is included in hot pot? Dipping ingredients depend on seasonal availability: we only use fresh high quality greens, veggies, and meats. Example dipping ingredients include: lamb, beef, pork belly, fish balls, tofu, sweet potato noodle, enoki mushroom, udon noodles, lanzhou lamian, lotus root, wood ear mushroom, yu choy, amaranth leaves, potato slices, napa cabbage, gailan, oyster mushrooms, bok choy, etc. Hot pot is a communal dining experience for 4 people. We offer hot pot service for groups of 4 people, by reservation only. Pricing is set per-table with no exceptions. We have three tables dedicated to hot pot, with three seatings each: 5:30pm, 7:30pm, and 9:30pm, Thursdays through Sundays in 2018. You can view available seats, select, confirm, and change your booking via Resy. Our restaurant is very tiny, with only 22 seats inside and 4 seats at the bar. Please respect your booking time so that all guests are able to enjoy. Hot pot is a firm medium spicy and cannot be made less spicy; however it can be made more spicy upon request. Sichuan peppercorns (yerma in Tibetan) are a key ingredient and may induce a mouth-numbing feeling. Don't worry, it's normal. If your group cancels your reservation within 12 hours of its time, or no-show, you will be charged a fee of $60. 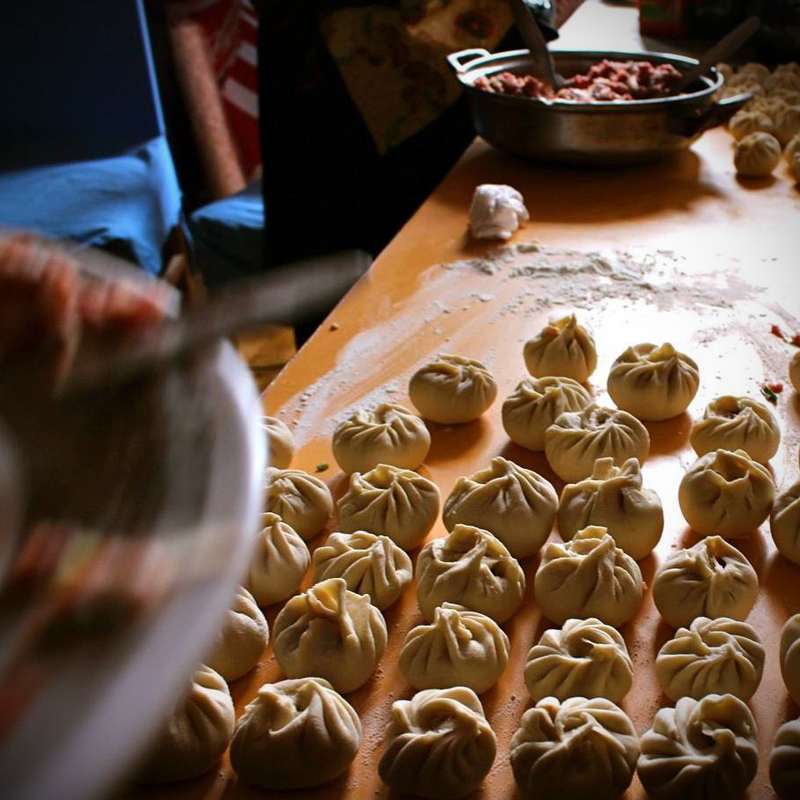 Momos (Tibetan dumplings) are shaped by hand with minimal tools: a flat rolling pin, loose flour, and nimble fingers. Each family's recipe depends on their personal tastes and the resources available to them. In nomad families in Tibet, the main fillings are sheep and yak meat -- vegetables are scarce but include wild greens -- along with an extremely spicy chilli sauce. 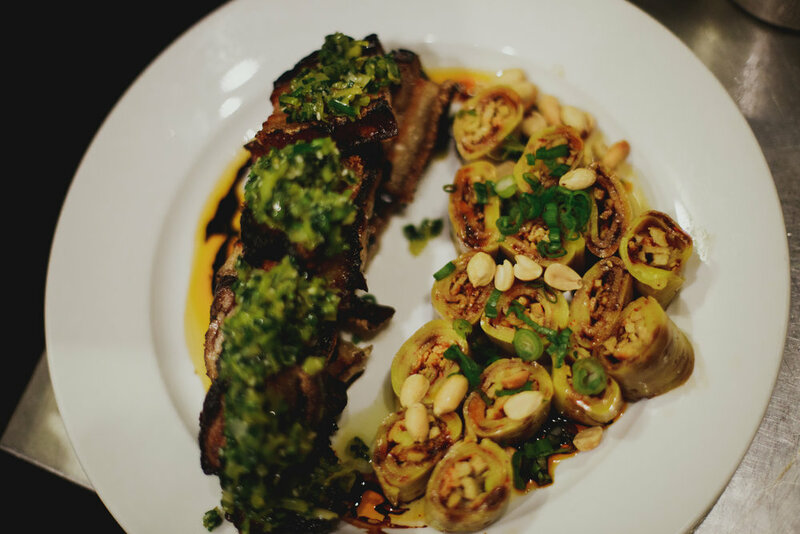 Chef Dorjee makes all our lamb (halal), beef, and vegan momos with love and pride in his culture. 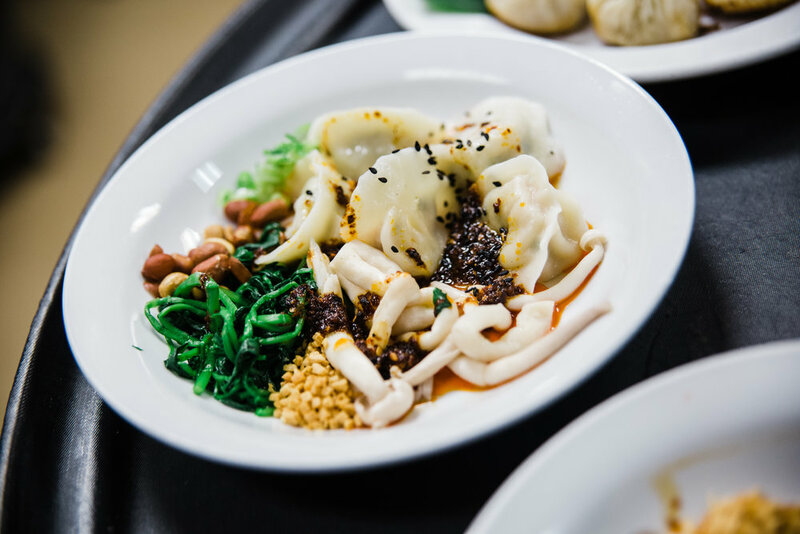 He hand-rolls each dumpling wrapper, and fills it with a special blend of meat, vegetables, and spices to create a juicy and satisfying bite. We steam-fry our momos for a crispy underside and a soft top. 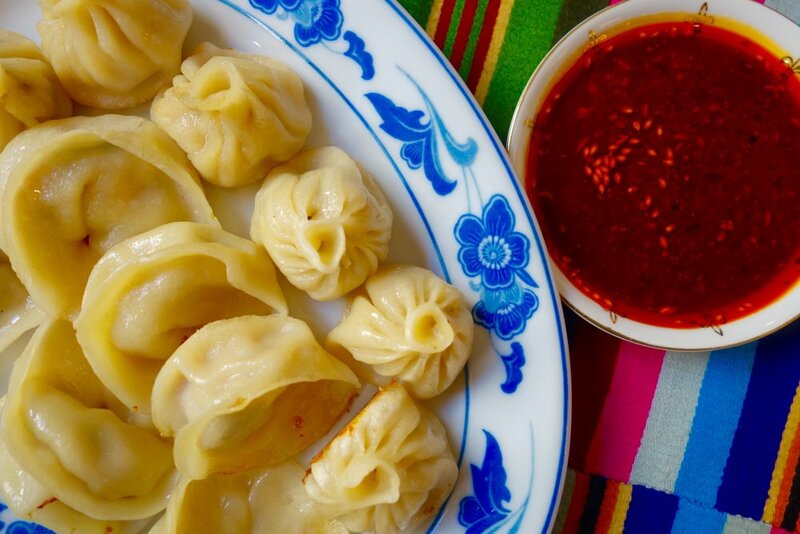 Momos are accompanied by a savory 21-spice sauce called sepen. Our mission is to introduce more people to the heartfelt preparation and unique flavors of Himalayan cuisine. 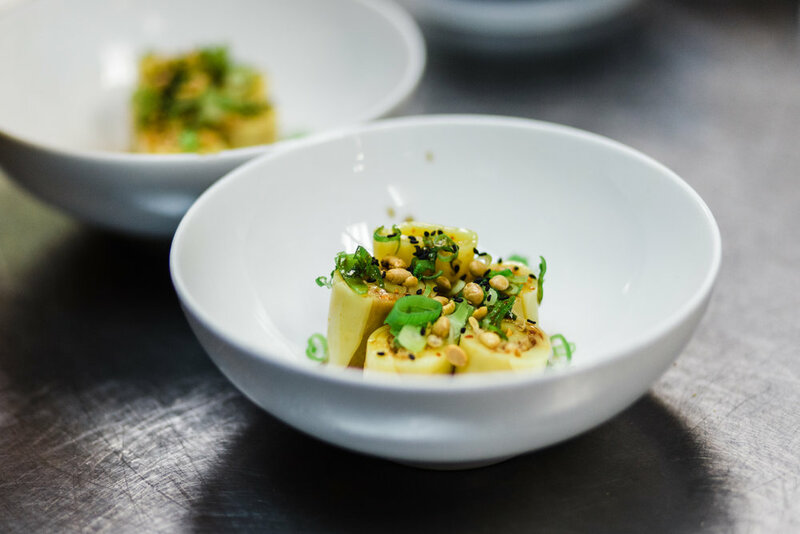 Our approach centers delicious dishes from Tibet, India, Nepal, and China that are both authentic and creative.